including human physiology, electrophysiology, heart systems and EMG kits. One or Two Channel Perivascular/Tubing Flow Systems can be used to measure perivascular blood flow in a single blood vessel from a range of animal species as well as measuring tubing fluid flow. Suitable for recording continuous skin temperature on human subjects for biological measurements of temperature in the range of 0°C to 50°C. Suitable for measuring Psychophysiological responses in humans. Isolated Heart Pressure Kits are hardware add-ons for Langendorff and Working Heart Foundation Systems. Each kit allows the measurement of pressure for a specific application. 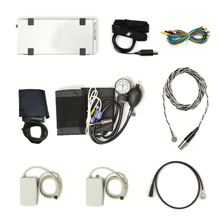 A starter kit containing everything you need to successfully measure continuous glucose data using telemetry implants. The HD-XG glucose telemetry implants for mice and rats are an ideal solution for recording continuous blood glucose, temperature, and activity measurements. Useful for researchers in the fields of Diabetes & Obesity, Endocrinology & Metabolism, and Sports & Exercise. Langendorff Foundation Systems that provide high quality glassware to perfuse an isolated mouse or rat heart in Langendorff mode with a versatile PowerLab and LabChart data acquisition and analysis system. Langendorff Isolated Heart Systems can be tailored to measure a number of parameters including pressure, biopotentials and temperature via a wide range of kits, available separately. Panlab multi-chamber Organ Bath Systems combine a PowerLab data acquisition system, LabChart software, and measuring instruments (Bridge Amplifier, Isometric Transducer) with a Panlab Organ Bath. Isolated Working Heart Systems provide all the glassware for perfusing small animal hearts, and the acquisition hardware and software for working heart data collection and analysis, including pressure, biopotentials and temperature. The Radnoti Organ Bath Kits combine the ADInstruments PowerLab data acquisition system, Bridge Amplifier, Isometric Transducers and LabChart software with a Radnoti Tissue-Organ Bath Apparatus. Designed for two-electrode, whole-cell voltage clamping of large cells and cell structures using an Oocyte Clamp Amplifier or Two Electrode Voltage Clamp Workstation. The Single and Dual Epithelial Voltage Clamp Systems are designed for studies of epithelial transport and the electrical properties of tissues. Patch Clamp Recording Systems with a choice of 3 Headstages are suitable for measuring currents in whole cell measurements and single channel studies. 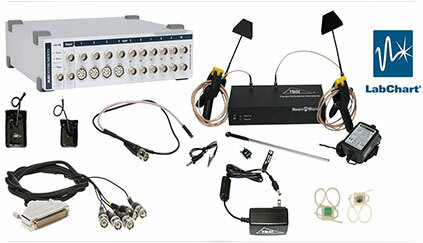 Wireless neural recording foundation system, featuring wireless technology made by Triangle BioSystems International (TBSI). The Equivital Starter Pack (Single) is perfect if you are currently planning to record data from one individual as it comes with only one of Equivital’s compact and unobtrusive wearable ECG sensor belts. Isolated heart kits that allow intracardiac electrophysiology studies to determine the atrial and ventricular electrical properties of an isolated rodent heart in Working Heart systems. 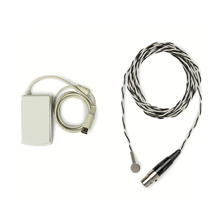 The Isolated Heart Pacing Kit is an add-on that allows surface pacing/stimulating of an isolated rodent heart in the Langendorff and Working Heart foundation systems. Isolated heart kits that allow surface cardiac action potential ("ECG") measurements from an isolated perfused rodent heart in Langendorff and Working Heart systems. Isolated heart kits that incorporates ultrasound transit time technology flowmeters and in-line flowsensors to provide accurate continuous measurements of volume flow at various appropriate and meaningful locations in isolated perfused heart systems. Using one of state-of-the-art technology to simultaneously measure beat to beat left ventricular pressure and volume of isolated working rodent hearts via an apical stab method.